At SafeSplash Swim School - Colorado Springs (Northgate & I25), we offer a range of swimming lessons, swim camps, birthday parties and related services to meet the needs of a wide range of our neighbors. We offer our programs on a year-round basis in our warm water facility and accept students as young as 6 months old. We offer continuous enrollment and each class is scheduled for a specific time and day each week. You choose your class time and day and we do the rest. 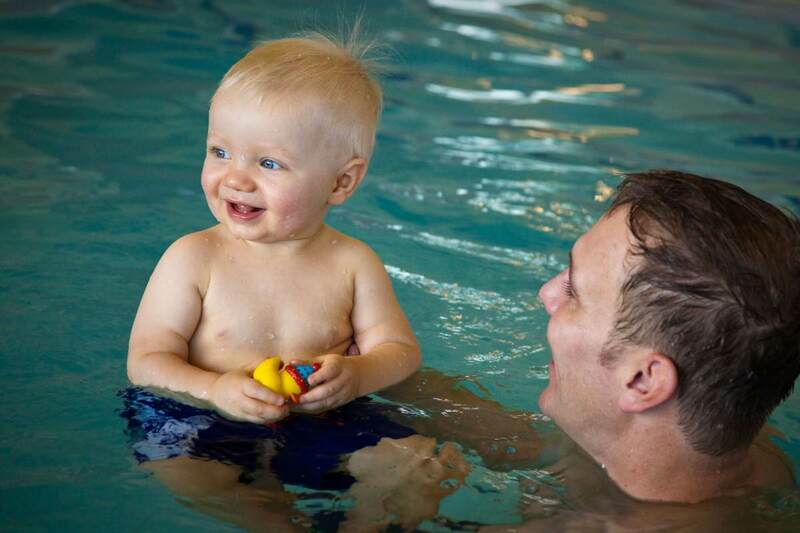 Our standard payment option is month to month, but we also offer a range of tuition plans for our swim lessons that include discounts for multi-child families and multiple classes per week. Click here to view the tuition options we offer SafeSplash Colorado Springs. Most special needs students find our Private or Semi-private lessons to be the best fit. Prior to starting lessons, we meet with the family and assess the goals of each student. With the goals and the capabilities of the student in mind, we develop a customized teaching plan based on the elements of the SafeSplash curriculum that apply. We then identify an instructor that is not only skilled in dealing with similar students, but also is a good personality match for the individual student…another example of the SafeSplash Match®. If desired, lessons can be taught during off-peak times of the day to minimize environmental stress and help enhance the student’s comfort in and around the pool. We are proud to provide this type of program to students of all ages. We love to make a positive difference in the lives of the families we serve. If you are interested in hearing more about our special needs program or the specific skills of the instructors we have available to teach these classes, please email us or call us at (719) 900-2550. Beyond our weekly lesson programs, SafeSplash summer camps offer a perfect summer activity and can help you learn skills faster. Space in our camps are quick to fill, so sign up today! Our Summer Camps start on June 3rd and end on August 14th. Each camp session is two weeks long and students attend two days per week (either Monday and Wednesday or Tuesday and Thursday) for those two weeks. It's never too late to learn how to swim or to perfect your swimming skills! From beginner to advanced we have a class that will fit you. Our curriculum for adult classes is tailored after the same skill progression taught in all of our classes, but the language used and pace is tailored to adults. We introduce all skills to our beginner swimmers and work on strokes and endurance for our advanced swimmers. At SafeSplash Colorado Springs our adult classes are taught by certified and experienced SafeSplash Curriculum instructors, most of which swam competitively through college. The SafeSplash Wave® program is an endurance, strength, and swim team prep program that works with swimmers who already have knowledge of the competitive swimming strokes and want to refine their swimming skills in preparation for swim leagues or teams they may be participating in such as Colorado Springs Swim Team (CSST), USA Swimming, Woodmoor Waves Swimming, etc. The Wave program is broken up into 3 skill groups based on both physical conditioning and current knowledge of the strokes in accordance to USA Swimming standards and the SafeSplash curriculum. The program includes a set workout with a swim coach (out of the water coach) whose primary goal is to mimic an experience one would have on a recreational swim team. Since prior knowledge of the competitive strokes is required, stroke technique is coached, but is not the primary focus of the Wave. Plus, we are now offering competitive and triathlete instruction using our advanced SwimLabs technology. Learn more about private and semi-private lessons. 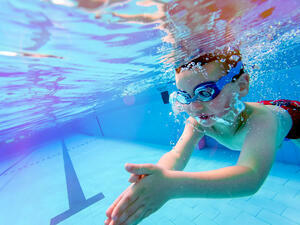 SafeSplash can help you plan the perfect swim party celebration for your child's special day. Whether it's a birthday party, end of season party for the team, Scout party, or any other reason to have a great time, you will have a blast by celebrating it with SafeSplash. Your SafeSplash party host will guarantee fun for all! Our warm water (90°) pools make our parties one that the kids will talk about for weeks after it ends. We strive to make your party planning simple and easy. Just give us a call to book your party and we’ll take care of all of the details.